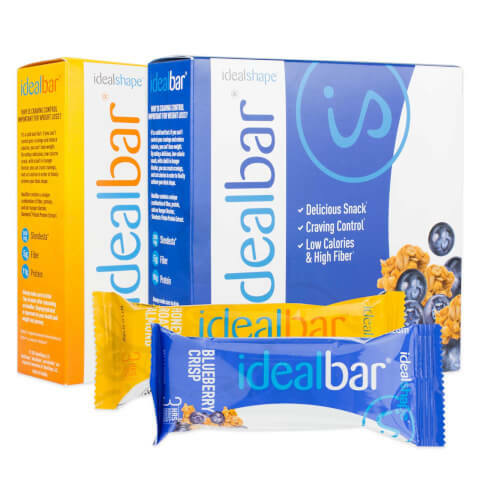 I have tried two boxes of the variety bars and I must admit that I am so addicted to them.I feel like I can't live a day without one.They are very delicious and yet so healthy.Thanx idealshape. I love the 2 pack. Last me all month long. I love 3 different flavors and they always curb my appetite. Not only do the make me feel full, but they also satisfy my sweet tooth craving. My #1 purchase!!! I love the Honey Roasted Almond and Chocolate Peanut butter bars! They are awesome for keeping me from craving sweets and junk snacks!